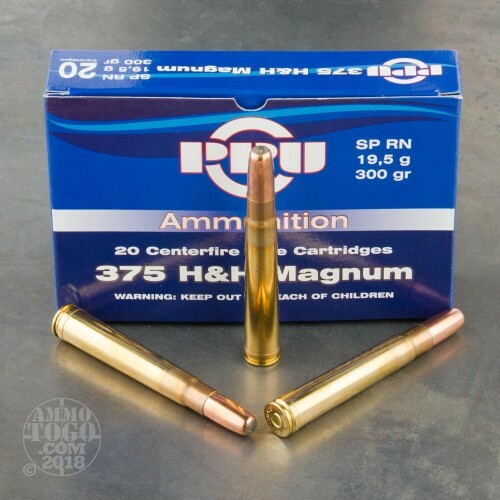 Prvi Partizan has been producing custom ammunition for competition, range shooting, and hunting since 1928. The company is best known for supplying ammo to the Serbian military and police forces. Located in Serbia, Prvi Partizan produces high-quality ammunition that meets all SAAMI standards. Managed by a stringent internal quality control system, you can count on all Prvi Partizan products to be consistent, reliable, and accurate. 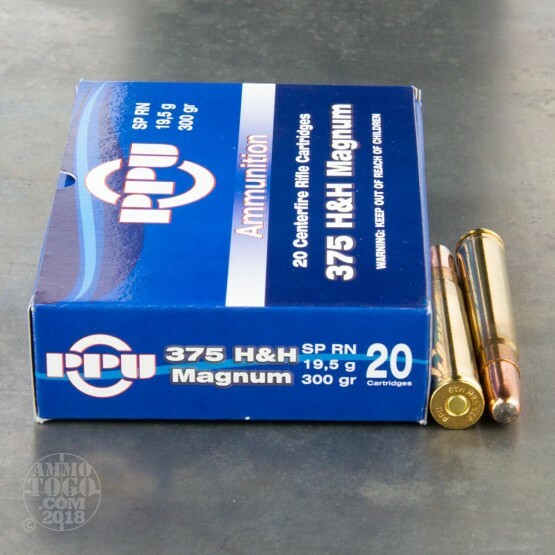 This package contains 20 rounds of Prvi Partizan .375 Holland & Holland Magnum ammunition. Each cartridge is loaded with a 300 grain round nose soft point projectile. Delivering impressive terminal expansion and hard-hitting energy transfer, these are terrific all around hunting loads for big game. 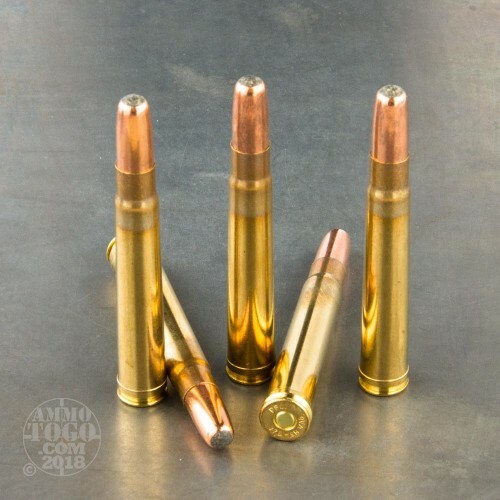 Ideal for large and/or dangerous game from Africa to Alaska, use these rounds for elk, moose, Cape buffalo, and everything in between. 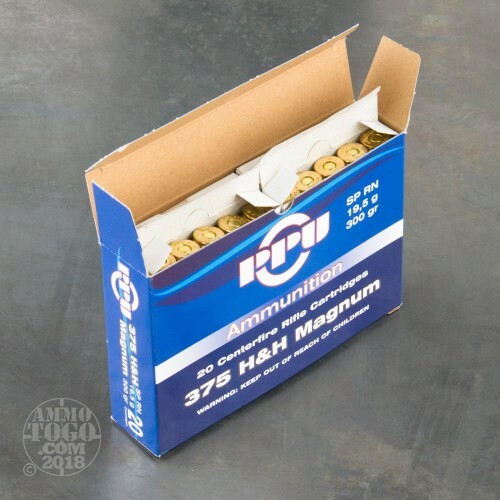 This factory fresh, non-corrosive ammunition features quality boxer primers and reloadable brass cases. Leaving the muzzle at a velocity of 2530 feet per second, each round packs a powerful 4322 foot pounds of game-dropping energy.